I decided to head up to the North face of Ben Nevis today to climb Fawlty Towers graded Scottish III*. 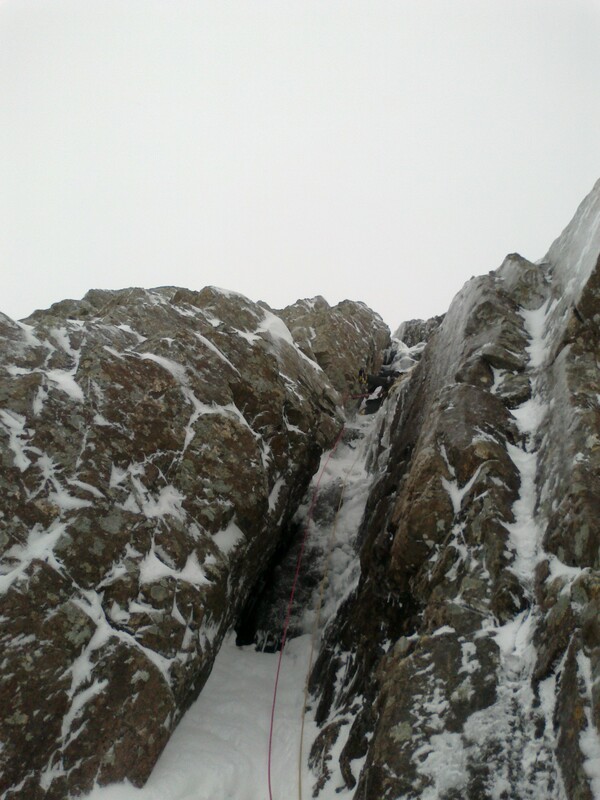 Tim and I made it up to the base of the climb in good time and initially conditions were looking very good but after the first pitch I decided not to press on any further as there was no consolidated ice and was struggling to find frozen turf. With a quick abseil we decided to make a mountaineering day of it and traversed the Douglas Boulder via West Gully (I*) and descended East Gully (I). This is a great day out itself and one I'd definitely use again with clients.